Services | Homestead Inspection Services, Inc. Your inspector will provide you with an experienced eye, giving you a thorough visual evaluation of the home. The inspection will include the interior and exterior as well as the standard mechanical components of the house. 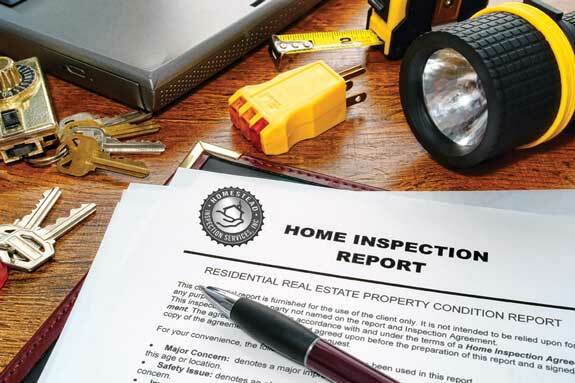 Our complete and detailed inspection report provides valuable input to help you make a well informed decision about the one of the biggest investment you will make…the purchase of your home. When purchasing or selling a home you have many objectives to achieve. Often additional services are desired, or even required for your mortgage approval process. Mike is additionally licensed in New Jersey to conduct radon testing and to execute wood destroying insect certifications. If your house utilizes a well for domestic water usage, well water testing can be arranged on your behalf. For your frame of reference, a typical single family home usually takes 2 ½ to 3 hours to perform. To meet your busy schedule your inspector can generally be available 7 days a week.